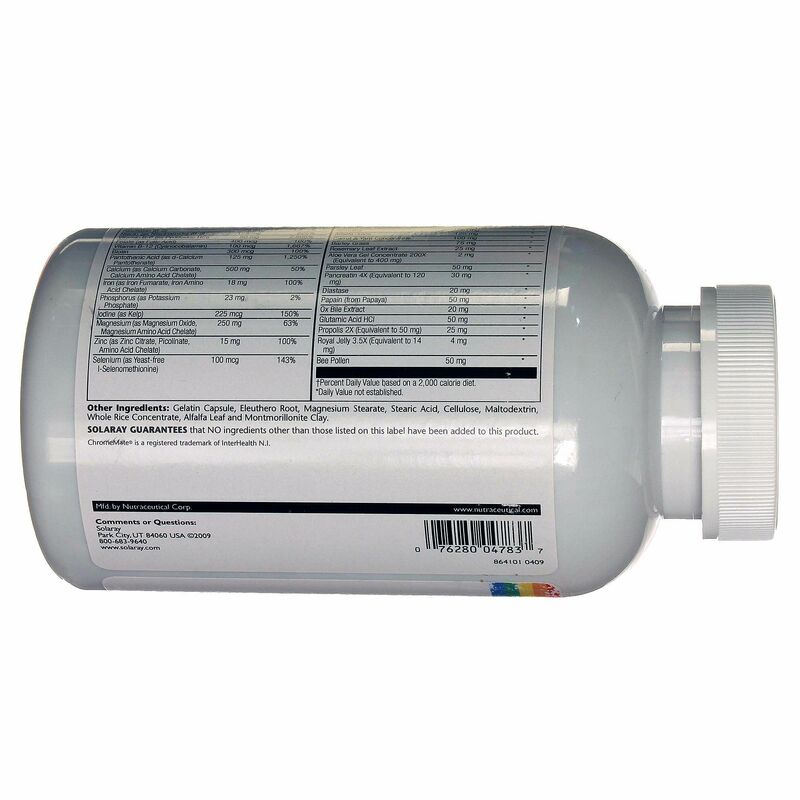 The Spectro Multi-Vita-Min from Solary earns its name as a full spectrum multiple with a unique blend of ingredients for complete protection and overall wellness. 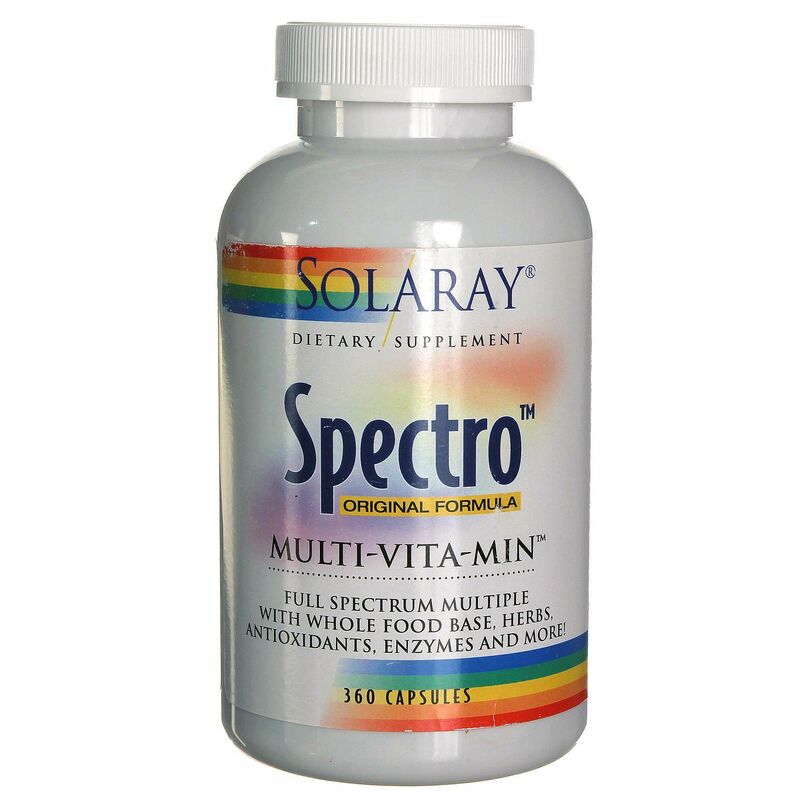 Spectro Multi-Vita-Min from Solaray contains 100 percent (or more) of your daily recommended amount of 17 essential vitamins and minerals including vitamins B12 and C as well as iron, zinc and selenium. 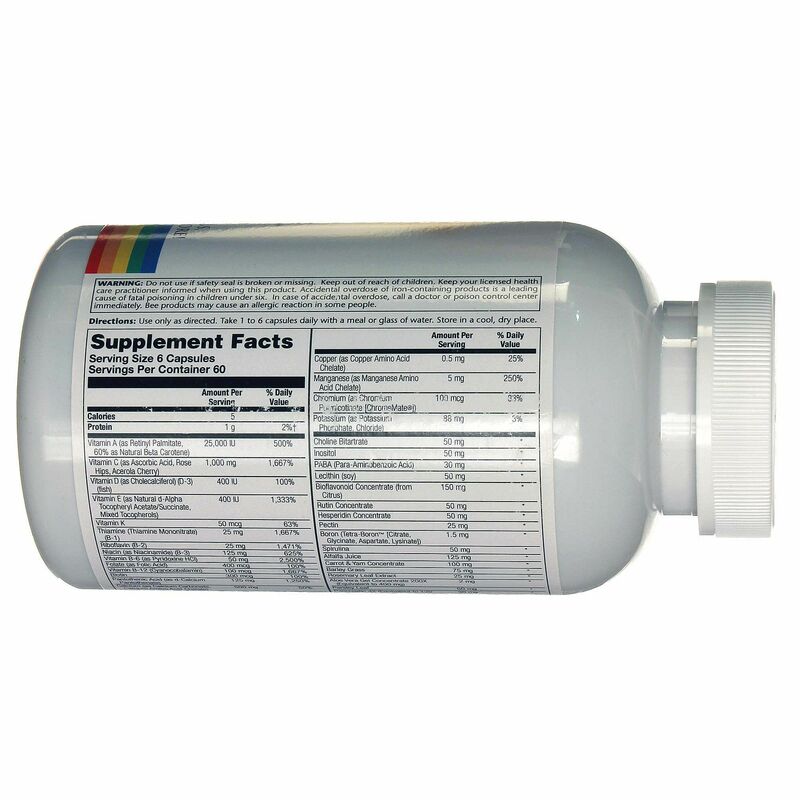 This supplement also contains a whole foods base that includes alfalfa, carrot, parsley and aloe vera gel concentrate along with added enzymes. 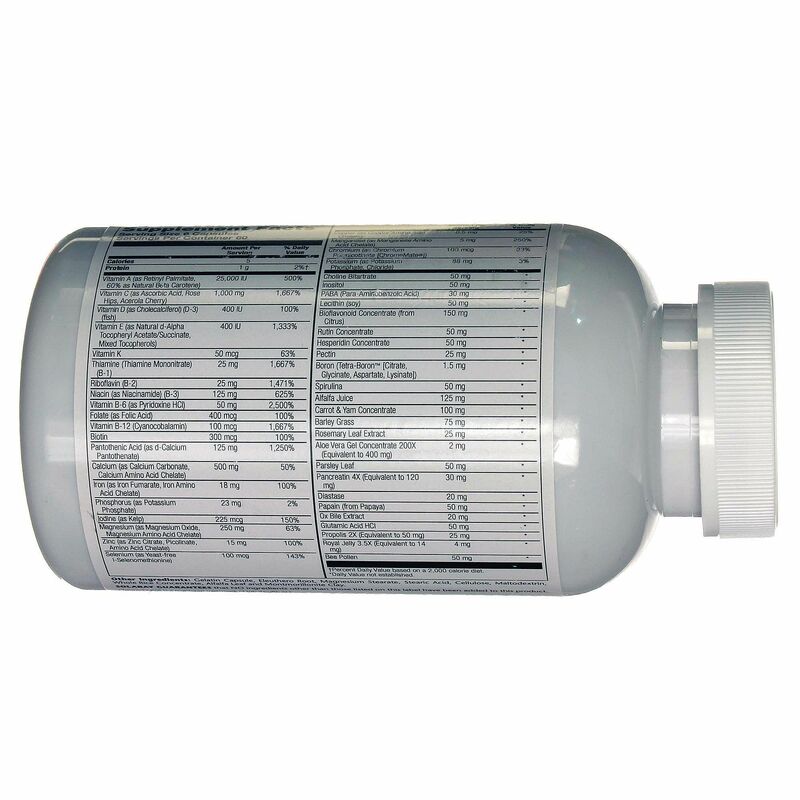 This supplement provides powerful antioxidant protection from free radicals that can weaken the immune system. Spectro Multi-Vita-Min from Solaray is part of their line of multivitamins. Try it today at eVitamins. Recomendações de uso: Take one to six capsules daily with a meal or glass of water.